Arrival at Almaty International Airport. You will be met by your guide and driver, and transferred to the hotel. Almaty is the largest city in Kazakhstan, which itself is the biggest country in Central Asia. The name Almaty comes from the Kazakh word for apple - legend has it that the apple originated here! 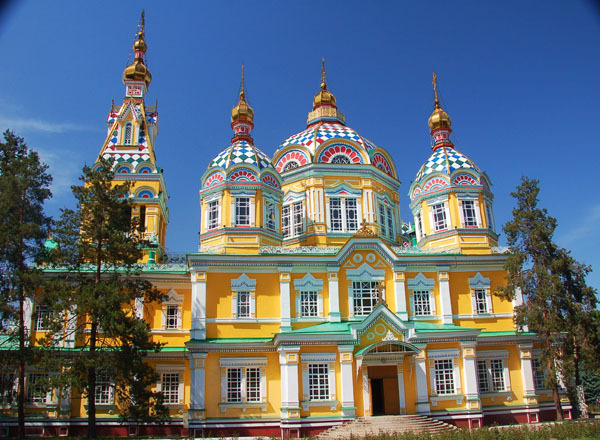 Discover Almaty Sightseeing Tour: Visit Panfilov Park, named after the 28 Panfilov guards from Almaty, who died heroically defending Moscow against the Nazi invasion in 1941; the magnificent wooden 1904 Zenkov Cathedral, (built without the use of any nails! ); the Central State Museum with its rich collection of cultural and historical artifacts and the Museum of Kazakh Musical Instruments. Enjoy Almaty's Green Bazaar. This evening, you will take a train to go to Shymkent, one of the ancient cities of Kazakhstan. Arrival in Shymkent. 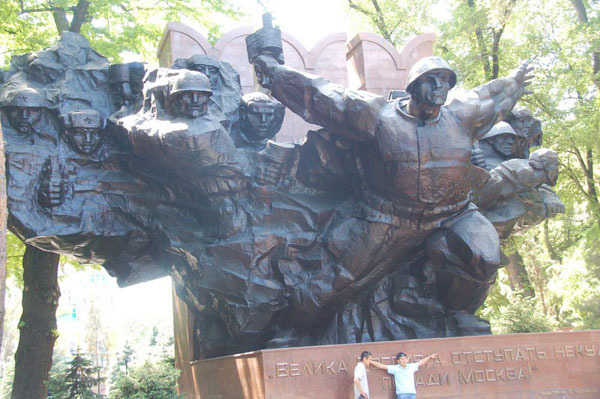 Sightseeing tour in Shymkent and the nearby Sayram settlement. 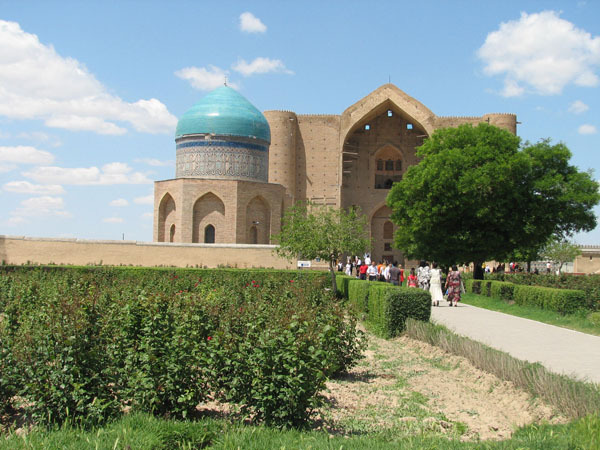 Sightseeing drive to Turkistan, one of the most famous cities in southern Kazakhstan, which today still attracts a significant number of pilgrims and travelers. 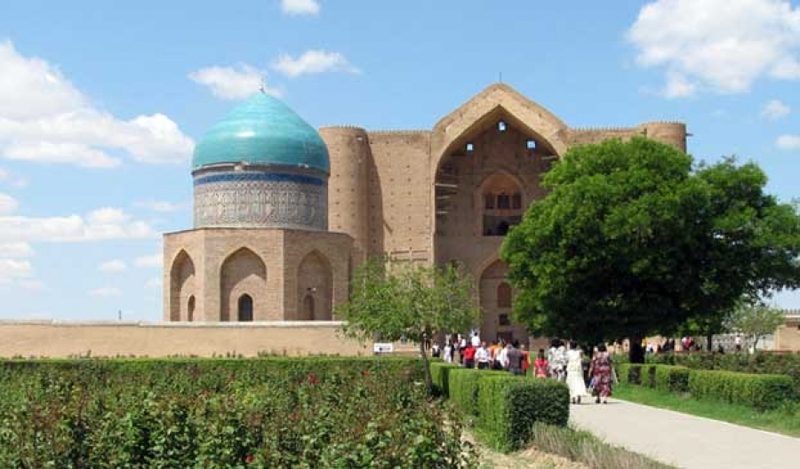 Explore ancient Turkistan: Visit the mausoleums of Hodja Ahmed Yassavi and Rabiya Sultan Begim, the granddaughter of Tamerlane, as well as a medieval bath house. 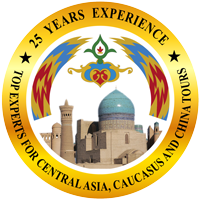 Wander the Turkistan bazaar, and shop in the handicraft center. 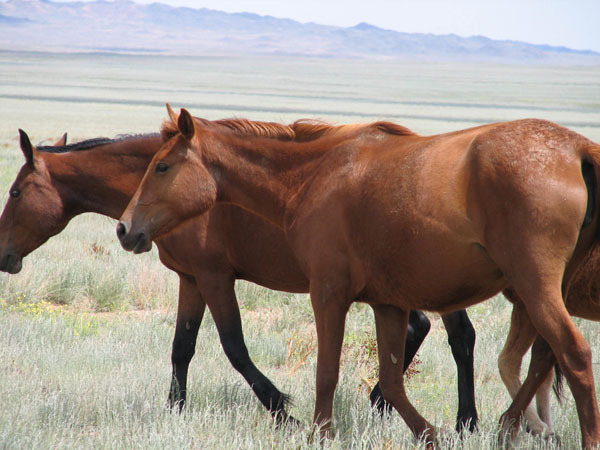 Enjoy walks through pristine natural surroundings in this unspoiled and remote area while visiting Kazakh villages, in which you will see the traditional way of local life. Overnight train to Almaty. Drive to Medeo. Medeo is a picturesque valley located 15 km above Almaty. It holds one of the world's largest speed skating rinks. The area offers pristine alpine scenery including the Chimbulak ski resort and the blue waters of Big Almaty Lake reservoir. The perfect place for gorgeous photos! 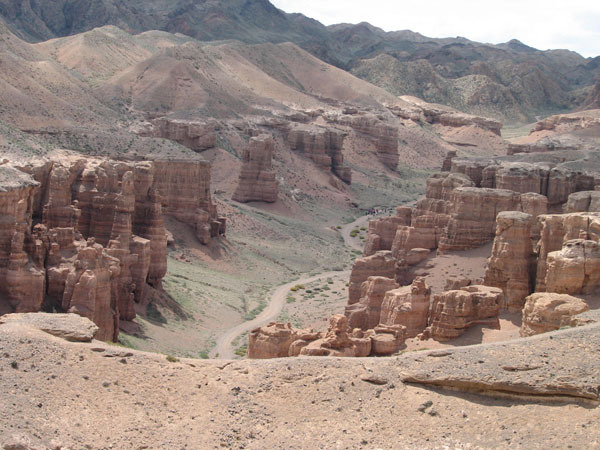 One-day tour of the picturesque Valley of Castles, Charyn Canyon Gorge in Charyn National Park, one of the most beautiful places in Kazakhstan. Over many centuries the rains and winds have eroded the various layers of rock on the canyon walls into gorgeous sculptures on the Canyon's sides -deep fissures, caves, grottoes and shady niches. The Charyn River winds peacefully through the bottom of the gorge. Return to Almaty. Farewell Dinner. 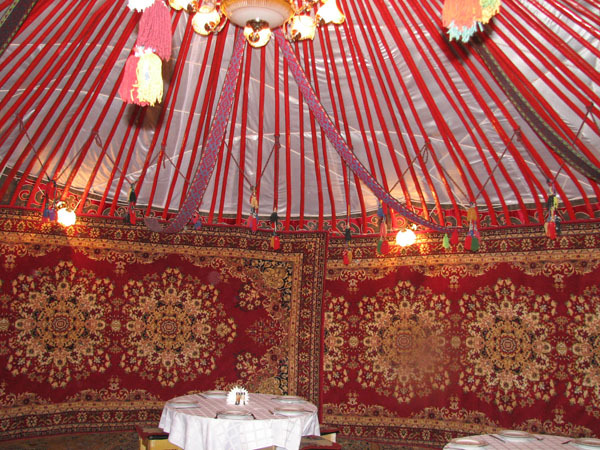 Enjoy classical Kazakh steppe music during live folk performances!